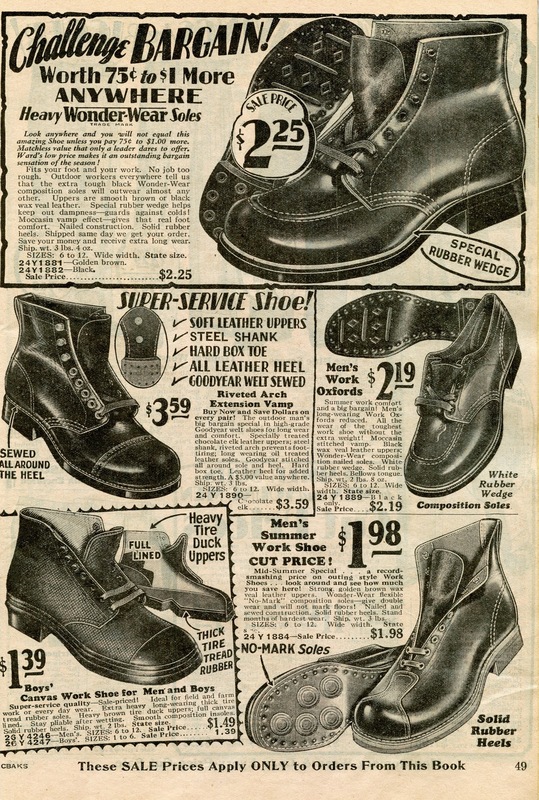 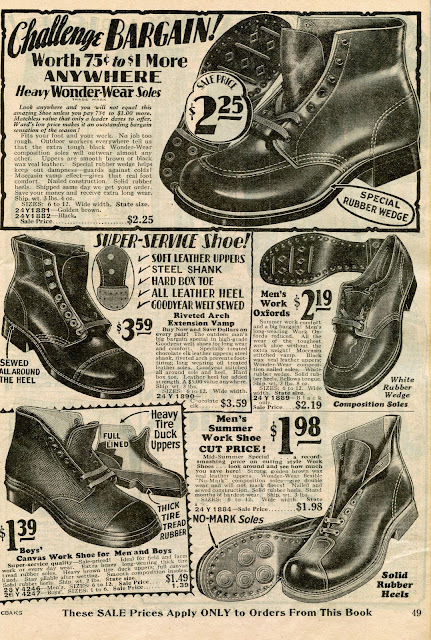 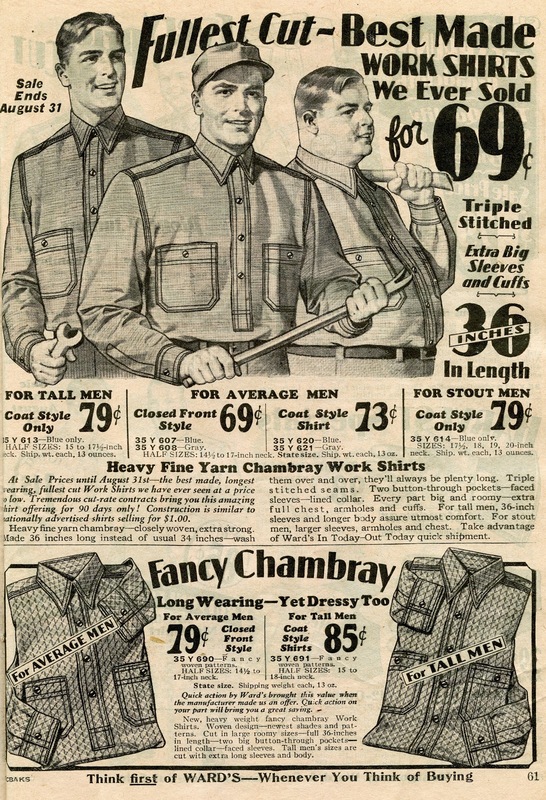 Here's some nice workwear ad's from a 1929 sale catalog. Notice the really big fella? 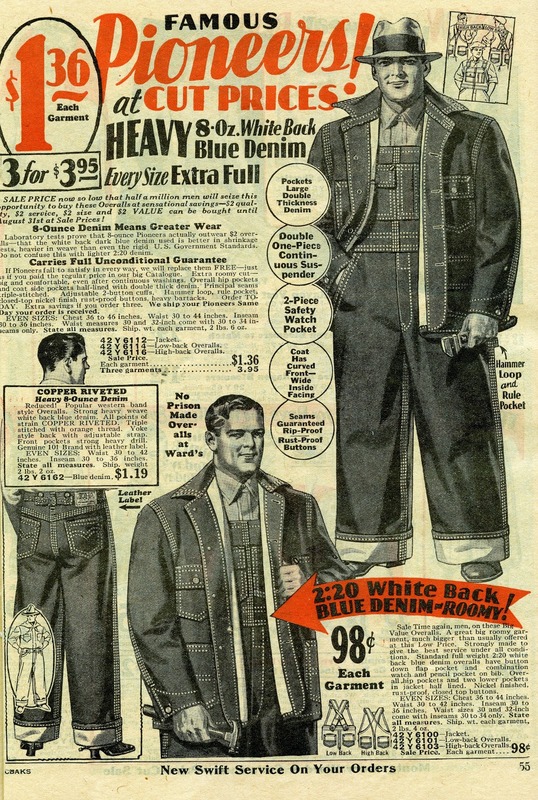 How many times have you all heard how skinny everyone was back then and they never made bigger clothing? 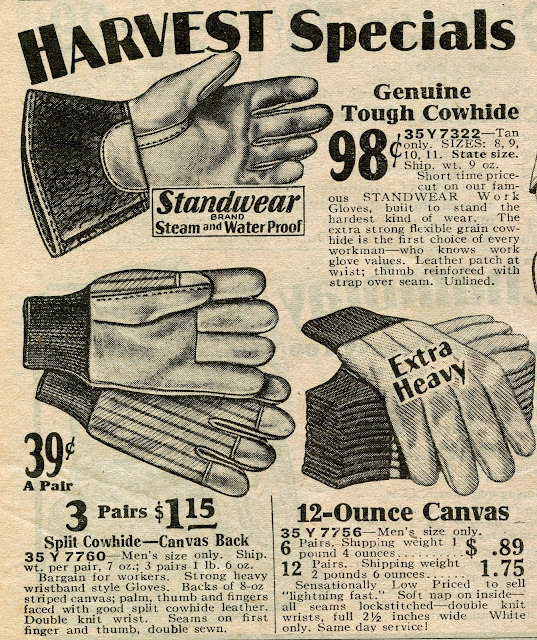 Shove this in their face next time! 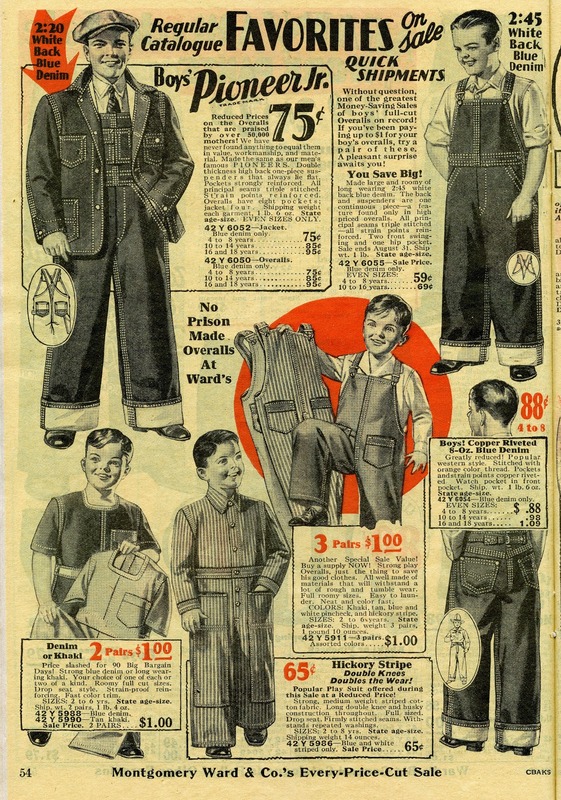 "no prison made clothes at wards"
I have a pair of 30s pioneer overalls up on my blog www.dustduds.com The ads were great and the grizzly is amazing.